Music review • Symphony blends well with eclectic band. The Utah Symphony's 2012 Deer Valley Music Festival ended with fizz and sparkle Saturday, thanks to a lively performance by the Portland-based band Pink Martini. This is a group that knows how to turn a hillside concert into a party where everyone feels welcome. That means there was music for people of all ages, and most nationalities, too. The band's classical underpinnings showed in the opener, which had bandleader Thomas Lauderdale leading out from a grand piano on Ernesto Lecuona's classic "Malagueña. The musical world tour that followed took off from Latin America, driven by smoking hot bongos, castanets, congas and tom-toms. 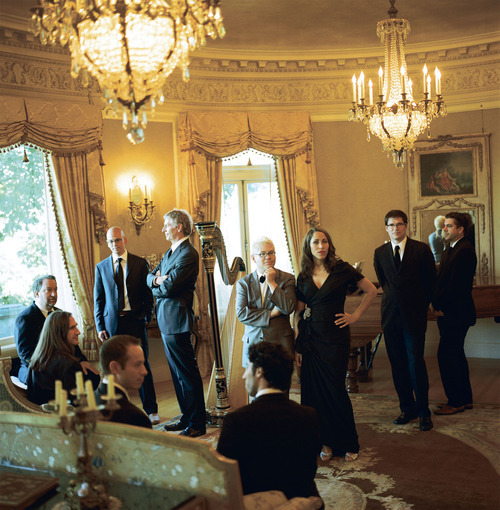 There are no apt comparisons that apply to Pink Martini, which could be called a big band, or a little orchestra. Horns, strings, harp, piano, guitar and percussion create the distinctive sound. The Utah Symphony fit nicely into the thick of the action, making songs like the fiery "¿Dónde Estás, Yolanda?" sound like Pink Martini on steroids. Conductor Jerry Steichen kept the partnership together and in balance. Lead singer China Forbes, back with the group after a sabbatical for vocal chord surgery, was in fine form. Her sultry voice and charismatic delivery made the evening's unusual set list all the more memorable. Whether singing French cabaret style, Japanese pop, Croatian and Turkish folk music or Big Band ballads, she charmed the crowd of happy picnickers that packed Deer Valley's Snow Park Outdoor Amphitheater. Lauderdale presided over the evening from the keyboard of a grand piano downstage. A highlight of the night came when he introduced a personal mentor, 94-year-old clarinetist Norman Leyden. A set of tunes from the Great American Songbook showcased the amazing nonagenarian, who played with the smooth style of an old pro and the verve of a youngster. Kudos for many a great solo go to Pink Martini trombonist Robert Taylor, who plays in the Oregon Symphony when he isn't jazzing it up with Pink Martini. And he can croon, too. 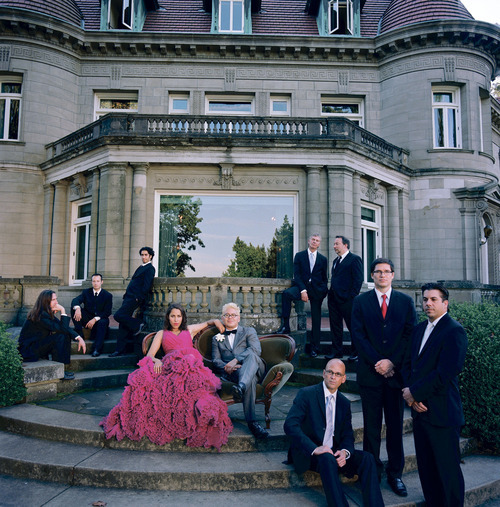 The supposed last song was a mash-up of "Get Happy" and "Happy Days Are Here Again"  a perfect ending for a Pink Martini concert. The eclectic pop band Pink Martini teamed up with the Utah Symphony to end the 2012 year's Deer Valley Music Festival with an intoxicating array of music of many styles, from many countries.